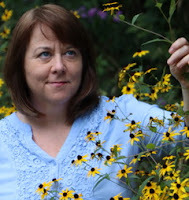 Why do I choose to write books about meteorologists, biologists, astronomers, and ecologists? Because it allows me—a failed scientist—to live vicariously. Growing up, animals were all I cared about. My family moved a lot, so pets were often my best friends. By the end of third grade, I’d lived in five states and attended four elementary schools. But Ralph the rat, Catzan, Lady Vain and her kittens, terrier Trixie, and an assortment of others happily kept me company. I fed and played with them, always wondering what it was like to be a goldfish or gerbil. Was it better? I read animal encyclopedias, wrote school papers entitled “Rats: Friend or Foe?,” and yearned to be adopted by wild animals like the lucky kids in Incident at Hawk’s Hill and Julie and the Wolves. Humans didn’t understand me, maybe a mother badger would. When college time finally arrived, I bolted from home with plans to become the next Dian Fossey. I would live in the woods with my animal subjects who would accept me as one of their own. Who needs people anyway? So judgy. That didn’t happen. Instead I ended up a science writer and nonfiction children’s book author. (A desk job? shudders my 20-year-old-self.) But writing about scientists provides a welcome window into a life not lived for me. And isn’t that what all literature is—a chance to be someone or something else? To know what it’s like to be a soldier mouse, ancient king, or sentient tree? Unlike in fiction, in nonfiction it just happens that the characters are real people, the dialog actual quotes, and the plot true events. The result is the same. 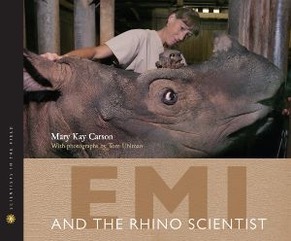 Emi, the Sumatran rhino mother in Emi and the Rhino Scientist, is just as big a character in the book as Terri Roth, the reproductive physiologist who helps her have the first calf of its kind in captivity in more than a century. There are fewer than one hundred Sumatran rhinos left on Earth, so part of the motivation for writing the book was trying to help educate the public and donate a bit of money. Failed scientists can still help animals! The book’s photographer Tom Uhlman (my husband) and I have deep ties to the Cincinnati Zoo where Terri Roth works. I went to a year of high school there, spending mornings cleaning aardvark cages and filling little crocks with cow’s blood for the vampire bats. Tom was a teenage member of the Junior Zoologists club. The zoo’s blood-slurping bats ended up on the cover of The Bat Scientists. I often employ a you-are-there technique when writing Scientist in the Field books. Why? It engages readers. But it’s also because I was actually there in a Texas pecan grove all night long helping scientists net and band bats. We really did look for radio-tagged Gila monsters with a herpetologist in Saguaro National Park and got soaking wet camping in the Smokies with an evolutionary ecologist while researching Park Scientists. Being there is the best part for me, why not share that with readers? And while I make a living as a writer, I’m still a nature lover who feels connected to animals and often exasperated by humans. Science has always helped me make sense of the world. I believe things happen for a reason, but one that usually involves natural selection, gravitational forces, and/or geologic time. Understanding animals, stars, storms, ecosystems, and gluons more deeply connects us to the world. And everybody craves connection. It’s the currency of what matters, what motivates. 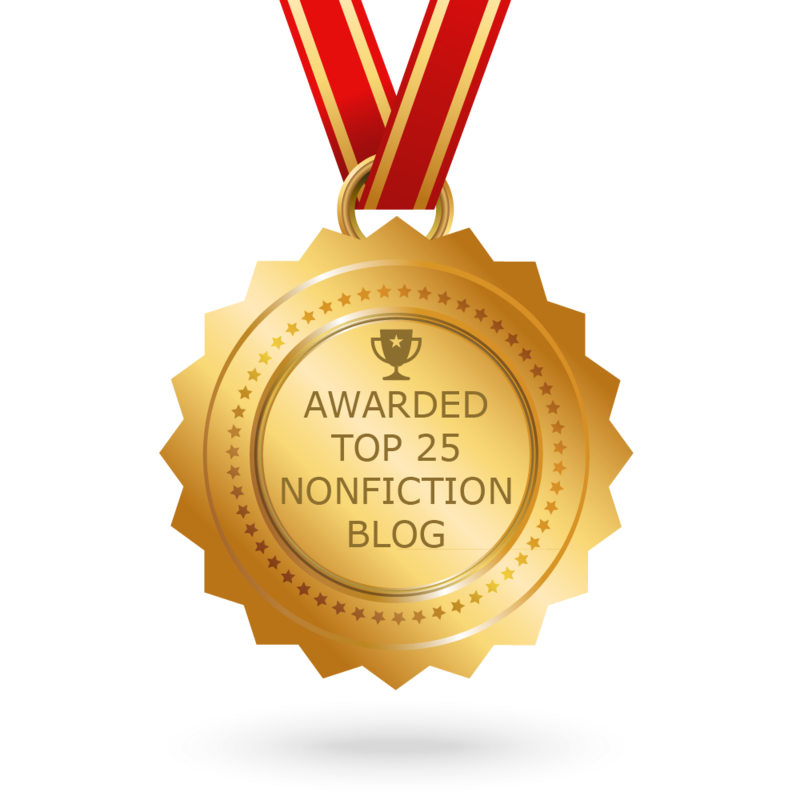 Nonfiction writers have profoundly personal connections to their chosen subjects. We’ve got skin in the game. Our writing reflects that—and ourselves. 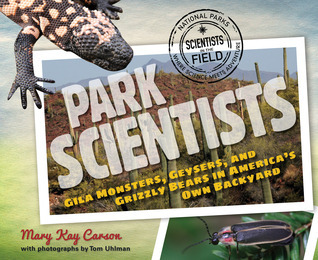 Mary Kay Carson is the author of more than fifty nonfiction books for young people about nature, animals, space, inventors, weather, and history. She and her photographer husband Tom Uhlman are a veteran Scientists in the Field team with five (soon six!) titles in the award-winning Houghton Mifflin Harcourt series. Mary Kay blogs with STEM Tuesday and Hands-On-Books. Find out more about her at www.MaryKayCarson.com or follow her @marykaycarson. Thanks for this series, Melissa. It's so insightful! Thank YOU, Mary Kay, for your contribution.